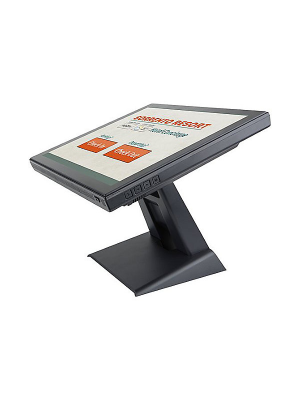 The budget friendly, Planar PT1745R 17" Touchscreen monitor is the premium solution for use in retail, point-of-sale (POS), government, education, healthcare and indoor kiosks. The 5-wire resistive touchscreen supports smooth inserting of data on the monitor using not just a finger but also a stylus pen. The anti-glare surface ensures the display to be pleasant on visual aspects. In-built is a 1W speaker which upraises the experience of using Planar PT1745R 17" Touchscreen monitor. Its contrast ratio is 1000:1 and brightness of 200 cd/m². 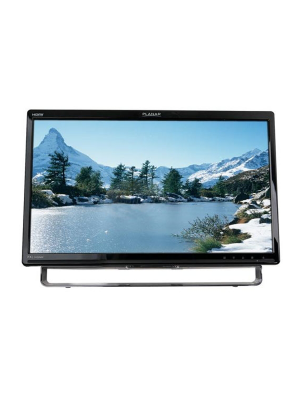 No drivers are needed for basic touchscreen operations of Planar PT1745R but for advanced features, drivers are quickly loaded using the easy to follow, step-by-step instructions. The interface: Dual RS-232 Serial/USB controller enable a user to communicate with the computer. 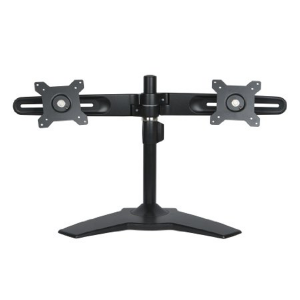 Compatible with the 100 mm VESA standard pattern on the back of the monitor. 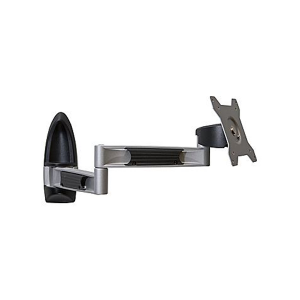 A thin, space-saving design that also reduces heat output and power requirements. 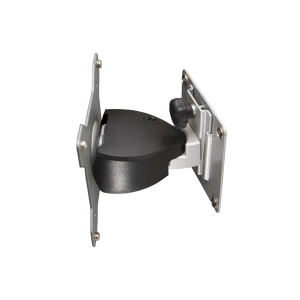 Planar PT1745R provides the solution to all the needs of the user. Not only is this device affordable but Planar does this with no compromise on quality. The interactive touch screen comes with a sleek and elegant look that completely enhances the outward appeal of any environment it is kept within; be it domestic or professional. 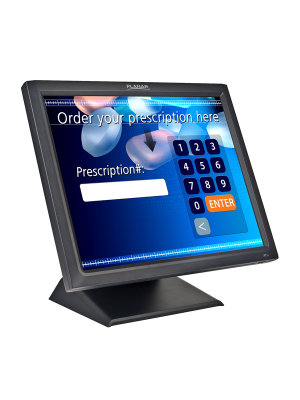 The PT1745R interactive touchscreen comes with built-in speakers, anti-glare surface and a system that can recognize commands via both finger and stylus. Q. 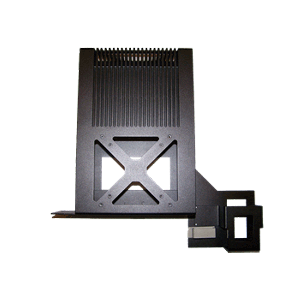 What are the power requirements of PT1745R Interactive Touchscreen Display? A. The PT1745R Interactive Touchscreen operates in the range of 100 – 240V AC. Q. How can I check the compatibility of Planar PT1745R Interactive Touchscreen Display with my computer? A. 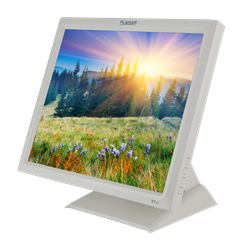 The PT1745R Interactive Touchscreen is compatible with all the popular operating systems such as Windows, Mac OS, Linux OS, etc. A. No, PT1745R Interactive Touchscreen does not require any drivers for its basic operations. Q. Do I get any warranty with PT1745R product? A. Yes, Planar gives a 3 – year warranty on all of its products. Q. What are the color options of PT1745R Interactive Touchscreen Display? 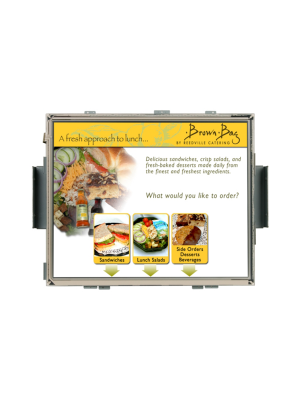 A. PT1745R Interactive Touchscreen Display is available in black and white colors.